[post_content] => TIRANA, April 7 -  A simultaneous operation between April 3-5, carried out in Belgium, France, the Netherlands and Italy and which saw the involvement of some 600 law enforcement officers, led to the arrest of 64 members of an Albanian-speaking organized crime network. [post_content] => TIRANA, April 5 - In an interview for German media Deutsche Welle on Thursday, head of the opposition’s Democratic Party Lulzim Basha said the united opposition will not be returning back to the parliament and that the political crisis is real, but also an opportunity to finally give Albanians a democratic system if the Socialist government resigns. “I remind you that German partners in the German Bundestag recognize these problems, we have raised these concerns a long time ago, since almost a year. Unfortunately, things this year did not improve, but have deteriorated. Not only that, but now we have official evidence of government cooperation with organized crime. The opposition's abandonment of parliament is without a return, the political crisis is real, but this is an opportunity, a great opportunity, not just to remove a crime-related government, but to give Albanians a democratic, functional system that serves them and not just the political parties or simply the political class,” Basha said. [post_content] => TIRANA, April 5 - The Albanian government approved on Thursday an amendment in a previous Council of Ministers ruling that foresaw the state-ownership of the country’s southern coastline so that private investors can eventually build resorts along it. The ruling, dating February 27, was published in the government’s Official Book and was later deleted, also due to pressure from neighboring Greece, as there is Greek minority living in Himara whose properties would be affected under the law. On Thursday, the government approved the law’s suspension only for the part of the coastline starting from Vlora and ending in Saranda - which includes all the locations inhibited by Greek minority landowners. “Real estate properties according to Point 1, located in the areas where the initial registration hasn’t concluded, will register under the administrative responsibility of the Ministry of Tourism, after the initial registration process of the private properties located at the cadastral areas included in this ruling has been finalized,” said the ruling approved on Thursday by the Council of Ministers. On Monday, Greek Prime Minister Alexis Tsipras told the media he’d been informed of “negative developments” concerning the Greek minority living in Albania, and that, given it was true, it could affect Albania’s EU path, which is also determined by Greece’s support as a EU member state. A day later, the CM ruling was deleted from the government’s Official Book, while on Thursday Greek national TV ERT reported Tsipras and Albanian Prime Minister Edi Rama even had a phone call regarding this particular issue. According to ERT, Tsipras and Rama spoke about the necessary reforms for Albania’s opening of EU accession talks, however it was also reported the core of the conversation was the draft law which affects the Greek minority’s properties and Tsipras’ ultimatum for it to be amended. However, the amendment that will allow private property owners to finalize mortgaging processes will not be applied to the other parts of the coastline - a fact which, just as the February 27 ruling itself, has drawn criticism from political experts and international representatives in Albania alike. For over a year, the government has scanned the most profitable areas and on Friday published in its Official Book at least 67 maps with all areas that will guide local units to suspend passing agricultural land ownership to ex-agricultural enterprise benefitors, for those areas prioritized for tourism development. 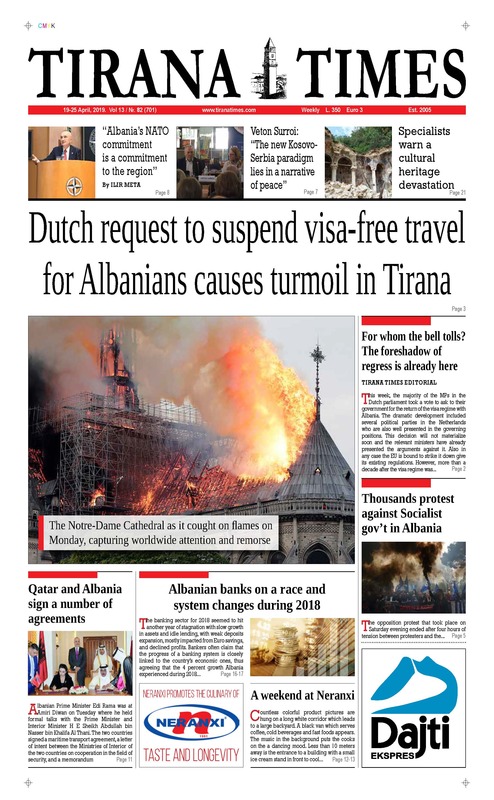 This “state ownership”of property by law has been criticized from political experts as anti-democratic and worrying, while anonymous sources told Tirana Times the law - and its amendment - did not go unnoticed by a number of ambassadors to Tirana. [post_content] => TIRANA, April 5 - Economy expert and analyst Artan Hoxha said on Thursday the solution to the deadlock are early elections that will allow both government and the opposition to compete on an equal ground and that, according to the IPR Marketing survey results published on Wednesday, opposition parties would receive 80 mandates in the present political situation. “They are two eggs which are bumping and one will soon break. As Dr. Noto said, the opposition’s egg is getting stronger,” Hoxha said, referring to Italy’s IPR Marketing Director Antonio Noto, who faced criticism following the publication of the survey. “We have a government intertwined with crime, a judicial power visibly under the government’s rule. Institutionally, it seems like a problem without solution. Just like the vicious circle that comes round and round and cannot stio. There is only one break of this vicious circle and that would be a new electoral process that places the parties under equal conditions of competition, which can come through a transitory government that will do nothing but give a message to criminal gangs, that this model has no future,” Hoxha said during an interview for Ora News. “The question would be this: if the political elections were to take place on April 3, who would you vote for? Opposition parties were at 53 percent, the Socialist Party at 44 percent, while other parties stood at 3 percent, where parties such as the PBDNJ, PDIU are also opposition. So the ratio is at 55-45. If these were translated into parliamentary mandates, the opposition would take 80 mandates and the government 60. So we have a public reversal of the voting inclination inherited from the 2017 elections. The majority in the nation today is a minority and the political minority of 2017 today is the majority in popular support,” Hoxha said. [post_content] => TIRANA, April 4 - Italy’s IPR Marketing published its first national survey on Wednesday, where among 2000 voters - only 31.3 percent of whom come from Tirana - 62 percent wish to leave the country. Asked whether they’d leave Albania if given the chance, IPR concluded that 62.2 percent of Albanians would leave given the chance, 35.1 percent would stay, and 2.8 percent said they don’t know what they’d do. Concerning Prime Minister Edi Rama’s governance, 29.5 percent said they believe the PM is positive, while 34.7 percent gave negative answers. A total of 7.2 percent said they are not able to judge the government’s work. Further on, concerning the criminality in the country - which is a main topic of political discourse and one of the main reasons Albania has still to open accession negotiations with the EU - compared to the last three years, 53.4 percent ​​of Albanians think that crime in the country has increased. Few are those who think the opposite, where 17.0 percent think this phenomenon has declined. There are 23.6 percent of Albanians who think the crime is on the same level as three years ago. The survey also touched on the perceptions voters have on the economic progress over the last three years, where 20.9 percent of Albanians think that the economy has improved, while 43.3 percent think that the Albanian economy has deteriorated. Meanwhile, 34.7 percent of citizens think that the economy hasn’t moved in three years. In addition, 60.1 percent of the population listed unemployment as the most pressing problem seeking solution, whereas 53.2 percent believe corruption is most pressing and 45.4 percent regard poverty as Albania’s biggest problem. Interestingly, 49 percent of those surveyed said they believe Albania is not heading in the right direction, 40.8 percent expressed an opposing view and only 10.2 percent they don’t have an answer to this question. Compared to three years ago, 18.5 percent of the surveyed said Albania’s living standard has risen, while 39.7 percent believe its living standards have deteriorated. Meanwhile, 40.5 percent said the living standard has remained the same. IPR Marketing, one of the leading companies in Italy, specializes in research, studies and analysis of public opinion and market for more than 26 years, with successful international experience. “We are used to attacks from all over the world. Because they see us as wizards, but we are not, we do a scientific job, not magic. Surveys are attacked by the loser and this is not only in Albania but everywhere. But over the years, confidence in surveys has grown,” head of the IPR Antonio Noto said. [post_content] => TIRANA, April 4 - Albania’s opposition held on Wednesday its eighth protest, which kicked off in front of the parliament and ended close to the government building. Meanwhile, inside the parliament, most people were involved in debates with opposition representatives on the electoral reform, following the decision to postpone the Reform Committee for one more month waiting for the Democratic Party and the Socialist Movement for Integration to accept the invitation to conclude this process, which is also one of the recommendations of the European Council to open accession talks with Albania. This time around, the majority of protesters came from DP and SMI youth forums, while there were many who held slogans reading the word “GO,” addressed to Prime Minister Edi Rama. Even among youth, moments of tension were present when a group of protesters tried several times to break the police line at the parliament’s entrance. Protesters then moved to the boulevard while holding a paper pyramid, at the top of which was Rama’s name, symbolizing the pyramid of crime and corruption which, according to the opposition, is headed by the Socialist government. Close to the government building, the pyramid was set in flames while the protest concluded with the return of the opposition leaders to the DP headquarters’ yard. Members of parliament who refused to resign their parliamentary mandates and others who have replaced their opposition MP colleagues ever since they decided to boycott the parliament, debated the majority over the electoral reform. The debates were prompted by yesterday's Socialist Democrat Damian Gjiknuri's proposal to postpone the Reform Commission for a month, in order to allow the opposition parties to join this process. According to MP Rudina Hajdari, who is one of the few DP MPs who refused to resign their parliamentary mandates, said the majority should establish a dialogue with the opposition MPs now present in the parliamentary hall. “This commission was established with the previous MPs. We don’t know what you discussed with them, what their proposals were and what they want to achieve with this electoral reform. This is a new parliament and you have to accept this reality. You have to accept new proposals. You have to accept the mandates of that commission expired on February 21, 2019,” Hajdari said, referring to the date the opposition decided to resign its parliamentary mandates and continue protesting to demand Rama’s resignation and the establishment of a caretaker government that can bring about early elections. Rama, on his part, explained the majority’s proposal to postpone the reform commission is merely a sign of a good will to conclude the only process which remains open with the opposition, pointing out however they will not wait indefinitely, while reminding it was the DP that insisted to Include the Electoral Reform on the European Council’s recommendations for opening accession talks with Albania in June. “We will wait as long as it is permissible. If, on the part of the European Union and the European Commission it is made known the electoral law can stop here, before a decision to open the negotiations is reached, because it is written in the text, we will stop here and refer only to OSCE/ODIHR recommendations, excluding other elements,” Rama said in parliament. Despite the recommendation from the EP, the decision on whether aspirant countries will open accession negotiations remains to the member states. In this context, Albania’s political situation does not help the country receive a positive decision, while the results of the European elections will also be decisive in the position that the member states will take. [post_content] => TIRANA, April 3 - Chargé d'Affaires of the US Embassy to Tirana Leyla Moses-Ones announced on Tuesday that help towards the High Judicial Council will soon lead to the creation of the Court against Corruption and Organized Crime. She said that whoever thinks the ongoing justice reform will fall behind is mistaken, echoing her own words during the AIIS conference “70 years of NATO, 10 years of Albanian membership” which took place on March 21. “This is but one example of how the United States continues to work hand-in-hand with Albanian and European partners to help Albania with Euro-Atlantic integration and rule-of-law. We are seeing this in justice reform efforts. The High Prosecutorial Council will soon bring about the prosecutors of the SPAK, and then the National Bureau of Investigation,” Moses-Ones said. Further on, she added that it’ll be US assistance towards the HJC which will finally lead to the creation of the Court against Corruption and Organized Crime. “Our assistance to the High Judicial Council will soon lead to the Anti-corruption and organized crime court. U.S. Department of Justice officials are mentoring Albanian prosecutors, who are already bringing about notable prosecutions — and we expect more. The United States supports all of Albania’s new institutions, such as the Councils and the SPAK, as well as existing institutions that are willing to fight against corruption or organized crime. Justice reform is moving forward, and it won’t be stopped,” Moses-Ones concluded. The US Embassy’s Chargé d'Affaires made these remarks during the ASP Case Management System Upgrade Inauguration organized by the Ministry of Interior. Valuing the opportunity to mark an important milestone in the modernization of the State Police, Moses-Ones said she is proud to celebrate the continuous close partnership between the state police and the US government. 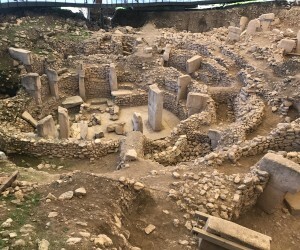 Moses-Ones’ words were echoed by the German Ambassador to Tirana Susanne Schütz in an interview for the local media Monitor a few days back. Schütz said the country’s ongoing justice reform and its vetting process are successful and have contributed positively in improving Albania’s image in the eyes of foreign investors.